Check this out. I just bought a brand new pump shoe. It has cracks on both sides, one side pretty bad. It came out of the Yamaha bag like this! You can tell someone filed off the rough edges, so they had to see this. Last edited by '02GPRider; 08-01-2007 at 10:09 PM. That almost looks like someone is selling used parts for new! I have seen a couple just like that on brand new boats. One we took back to the dealer because we thought it was cracked. 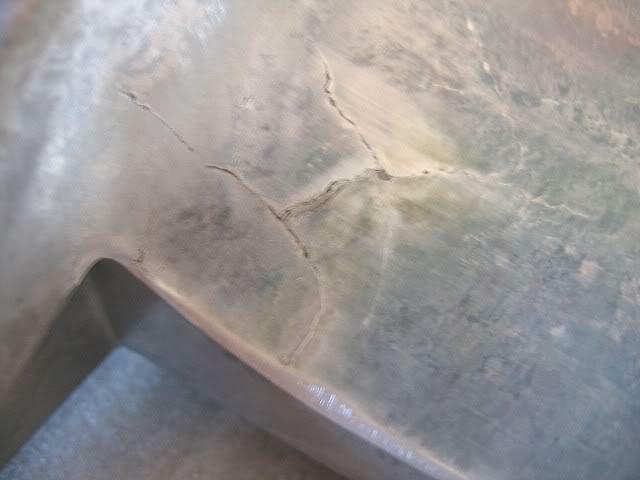 After grinding and polishing the rough spots it turned out to be bad casting marks. You may be right, WFO. 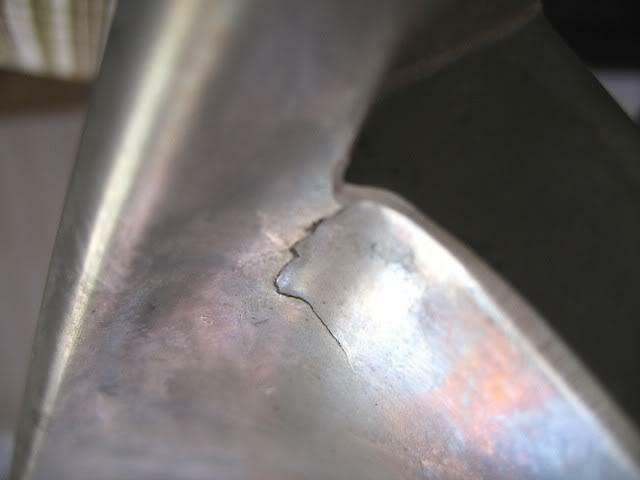 But, I don't want to grind on it and discover it's really cracked. Then, I wouldn't be able to return it. I'm sending it back to Riva. If the replacement looks the same, then I guess I'll grind on it. The shoe on my 06 looked identical to the ones in the pics. Wow, this is normal? My '02 pump shoe didn't have any flaws like this. So, did you sand down your shoe and find it to be OK underneath? My 07 shoe has the same look also. OK, I guess I'll sand on it and see how it looks. Yep. just like the pic that WFO posted. Pump shoe mis-match w/ transom.